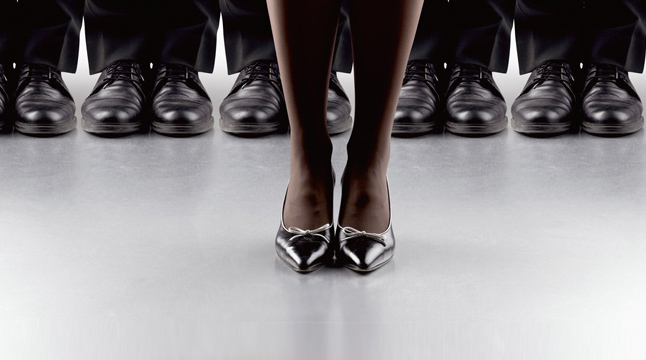 Over 100 nations have adopted gender quotas in politics, giving women leading roles in society. Even beyond these reserved spaces, it has helped bring more women into the work force. This may be good for society, but the means towards this goal raise two questions: What is the reason for the increase beyond the quotas? If so, are quotas the best way forward? Two studies published in Science earlier this year may hold the answers. The first exploited a naturalised experiment in India. A law adopted in 1993 mandated a randomly chosen one-third of village councils to elect a woman as the chief councilor. Lori Beamanan, an economist at Northwestern University, and her colleagues from Harvard University, Massachusetts Institute of Technology and the International Monetary Fund, found the perfect setting to study the long-term effects of quotas. The study looked at parents’ desires for their children’s educational attainment, age of marriage, occupation at the age of 25, and whether they wished the child to become chief councilor. Results from the study showed that villages which had female leaders wanted the young women to do more than villages without. The aspirations for the sons remained almost the same. Adolescents’ motivations showed a similar trend. Girls in villages with female leaders were more ambitious than girls in villages without. They had more desire for educational attainment, went to school more often and spent fewer hours doing chores. Little change in boys’ aspirations was observed. But what explains these large differences? Women in power are known to implement women-friendly policies such as better water supply. These can reduce time spent on domestic chores and allow women to aspire for more. At the same time that may be the upshot of watching other women do more. So is the explanation policy implementation or the role model effect? Dr Beaman points out that no experiment can completely distinguish the two. But during the study, which lasted from 1998 to 2007, there were no policy changes in education provisions or career options for young women in the villages, thus the changes in behaviour must be the result of the role model effect. In the subset of 495 villages that the researchers chose, chief councilor places were reserved for women once, twice or never in the decade of the study. This allowed for studying the effect of a ‘dose response’ in exposure to female leadership. They found no major infrastructural difference among villages which had women leaders once or twice. Yet, people in villages which had female chiefs for two terms had a better opinion of women’s capabilities than the people in villages which were led by a woman for one term. In the public sector quotas seem to encourage women, but in a corporate setting they are unpopular because of their inherently unfair nature. The second study published in Science offers an alternative. Matthias Sutter, an economist at University of Innsbruck, and his colleague found that “weak preferential treatment” works just as well as quotas do. The researchers looked at four different approaches: quotas, weak preferential treatment (women win in a tie-break), strong preferential treatment (women win against more qualified men) and repetition of competition (until a female winner emerges). As studying these approaches in the real word is difficult, researchers used well-known lab-based experiments to assess them. Their results suggest predictably that strong preferential treatment had the largest effect. But surprisingly quotas and weak preferential treatment turned out to be almost as effective. In a special report in 2011 The Economist concluded that women have come far but there is a long way to go to close the gap, especially in developing countries and in corporate boardrooms. Quotas are a good solution in the public sector, but in companies a better answer may be to let women win when they prove themselves equal to men.